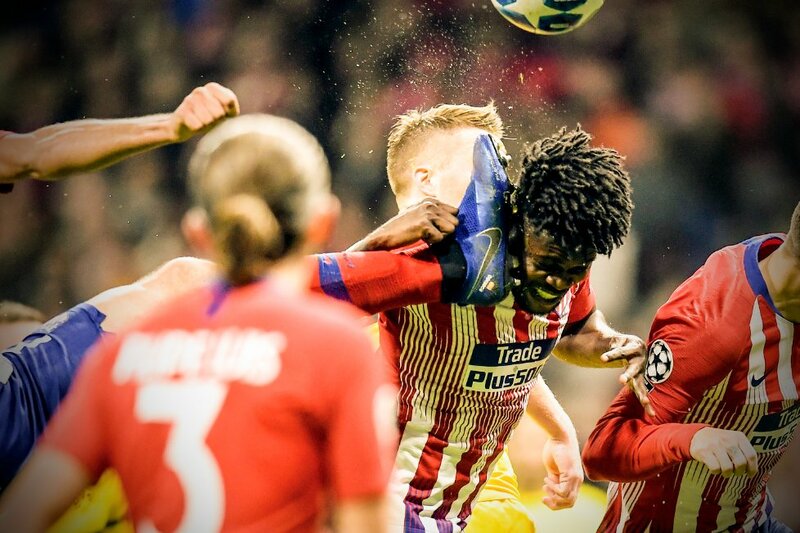 Ghana midfielder Thomas Partey severed severe bruises on his face on Tuesday after his own Atletico Madrid team-mates' studs stamped on his face on Tuesday night. 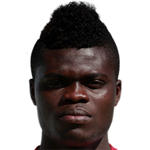 Partey, who was hugely instrumental in the UEFA Champions League game need some treatment over the boots of his team-mate inadvertently found its way on the right side of his face. As players of Dortmund and Atletico battled for the ball the Ghanaian was not left outy but he ended on the wrong side of the battle after the studs left some marks on his face. He was not seriously injured following the incident in the game against the German side. Atletico Madrid avenged last month's defeat by Borussia Dortmund to move level on points with the Germans in Champions League Group A.
Saul opened the scoring in the 33rd minute with a left-footed finish from inside the box, before Antoine Griezmann scored his third of the campaign to seal victory. The victory moves Atletico into second place on goal difference. Both sides need just a point from their next match to qualify for the knockout stage.